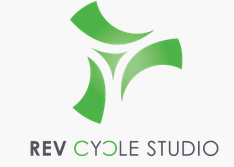 Start taking classes at REV Cycle and other studios! Push yourself in our challenging 45-min cycling class led by one of REV’s passionate instructors. Classes focus on no bullsh*t riding utilizing sprints, climbs, and core strengthening techniques. There are no upcoming “REV45” classes on this day. Tough class but very encouraging instructor! Nick is the best! Great music, encouraging words, lots of sweat, and even some dad jokes. Overall just a really fun class- Definitely my favorite spin instructor at this studio! Maddison kicked our asses, as always. Love that energy in the early morning. Fun and challenging as always. Eddie is the best! love Eddie's energy. great way to start my Saturday! Eddie was great as usual! Always love taking his classes! This was one of my favorite classes I’ve taken at Rev so far. Eddie is super motivating. Josh was one of the best instructors I’ve had in a long time. Amazing energy and extremely inspirational. Looking forward to REVing up with him again soon! Eddie’s a great coach and does a great job motivating you to work a little bit harder and a little bit longer each time!